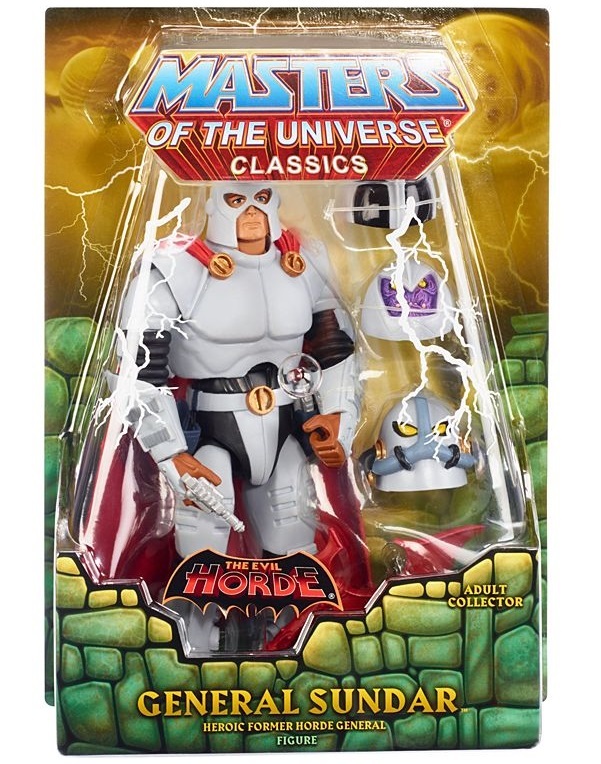 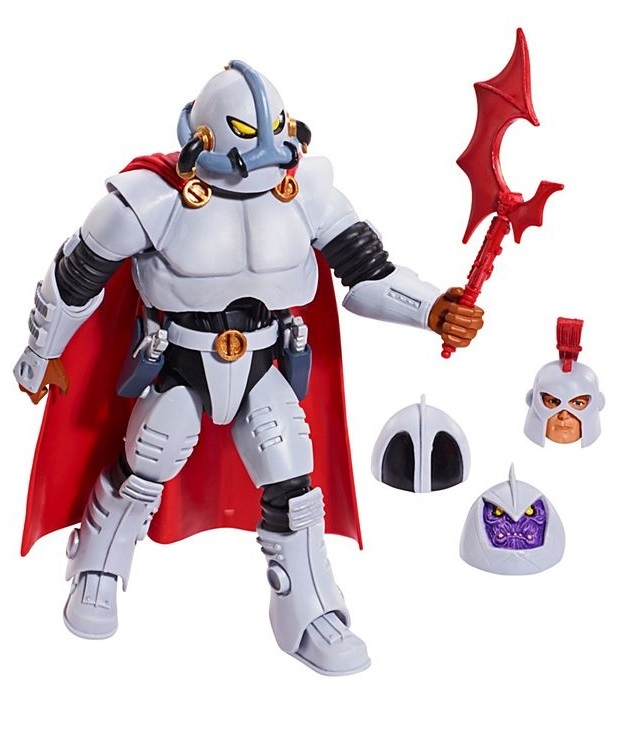 Highly respected and highly ranked, this wise warrior realized he could no longer support Hordak and his reign of terror. 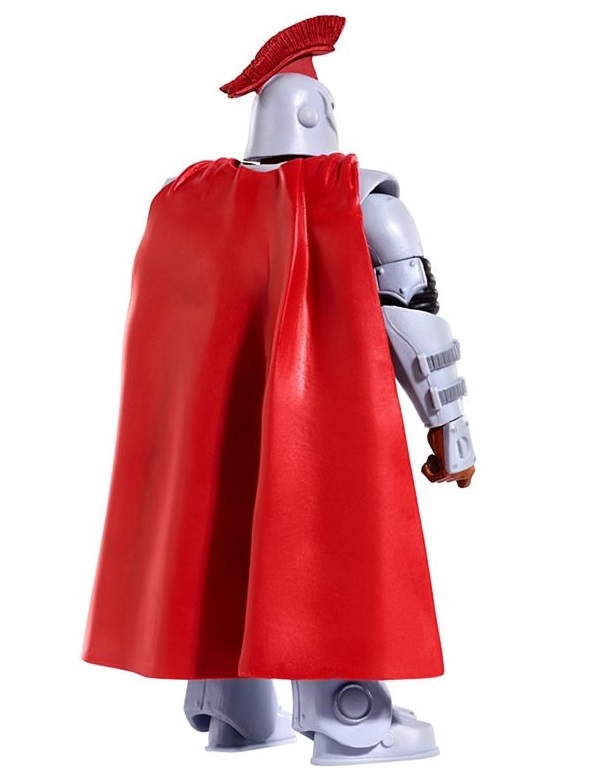 He fled the Horde and found fulfillment as a farmer, a father … and a fearless fighter for the Rebellion! 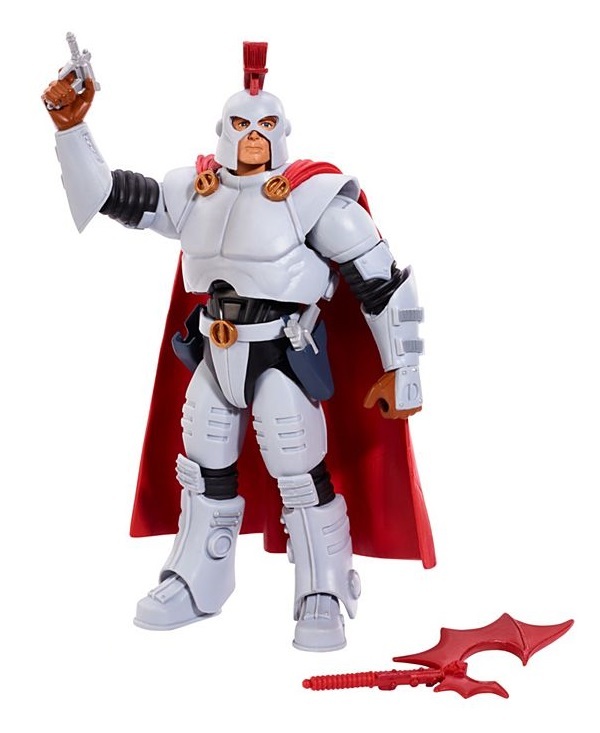 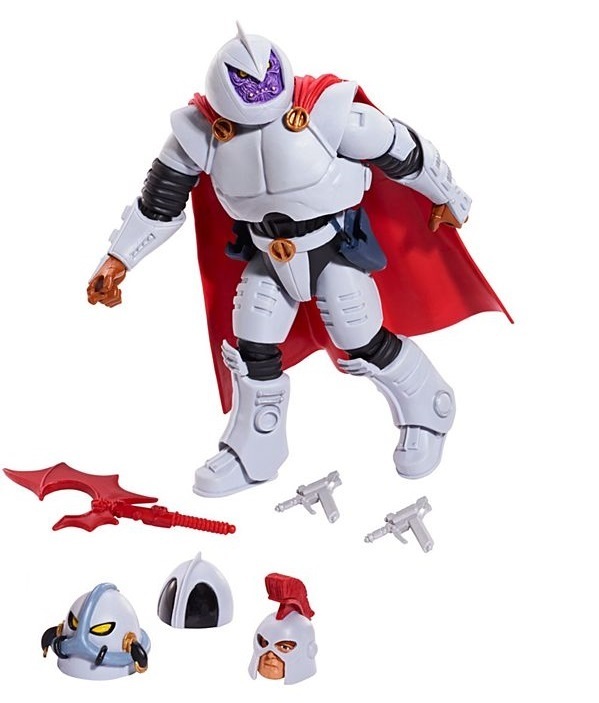 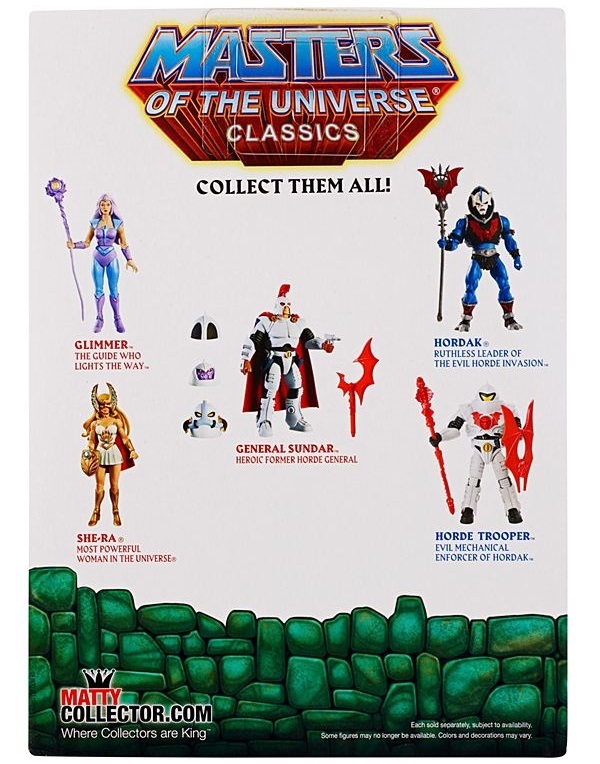 General Sundar arrives with a Horde battle axe, twin laser pistols, and three variant Horde Trooper heads (inspired by a DC Comics Trooper, a Naval Trooper, and a flashback Horde Trooper).